The sudden surge of cold weather catches many states off guard. Places that are normally warm are experiencing bursts of freezing air and snow. But is it worth buying hundreds of dollars worth of winter gear to stay cozy? Today, we’ll examine the most practical cold weather clothing advice to get the best bang for your buck. How many layers should you wear in cold weather? Most experts suggest between 3-4 layers, dependent on the temperature. First, start with a base layer like long johns or undershirts. Second, put on your regular clothing. Long-sleeved tee shirts and jeans are a good choice. Next, add a middle layer. This includes fleeces and sweaters. Finally, put on a waterproof outer layer to protect you from the snow. How can you save on outerwear? 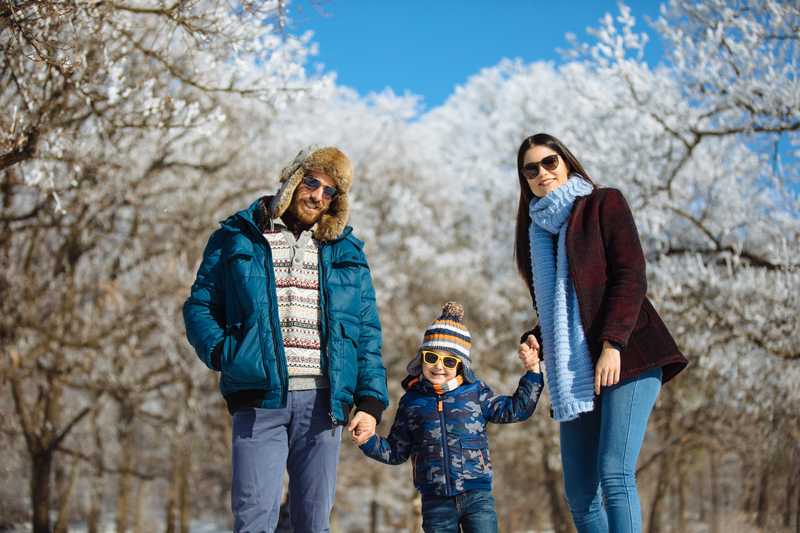 While winter coats can cost upwards of $500 there are many ways to buy winter clothing for cheaper. When giving cold weather clothing advice, many experts agree that you can save a lot by shopping at department stores. Skip the regular racks and spend a little time in the clearance section to obtain the deepest discounts. Additionally, try not to purchase any outerwear that is too trendy. Not only are these pieces priced higher, but they go out of style very quickly. Investing in a classic design that you can wear for several years is better for your winter clothing budget. Here are the top 5 dos and don’t when it comes to dressing for extremely cold temperatures. Thermal long johns can be a little too insulating; especially if we plan to be active while wearing them. We should consider lightweight versions of thermal underclothing if we plan to be outside only for a short while. Considering that winter gear is supposed to insulate us, we also need ventilation, too. Humans sweat and that could lead to uncomfortable moisture trapped inside of winter clothing. Look for core vents for heavy jackets and coats. Several cold weather clothing advice experts recommend trying on jackets and coats in person before buying. If you purchase online without being familiar with that specific piece, you run the risk of not liking the material, fit, or feel. Furthermore, be wary of unknown sellers on Amazon. You would not want to unknowingly purchase a knock-off winter jacket or other snow gear. Instead, stick to well-known sellers and websites. Shoes are usually the last thing on the list when purchasing clothing for sudden spurts of cold weather. If your area does not experience snow on a regular basis, good socks can be used in lieu of boots. Just make sure your shoe is mostly water resistant. Sometimes it’s not the cold, but the wind, that gets us. Using gloves and scarves will make a difference. When choosing pieces, opt for neutral colors and solids. This way, they can complement all of your other winter clothing.